Since we are talking about a custom pool, let’s talk about those special features. Let your imagination wander freely. Rock or flagstone for the decking area around the pool? Colorful imported tile? Fancy spillways? Real rock waterfalls or contemporary water features? These are just some of the questions we are ready to assist you in answering when planning your dream pool. After you have talked with us about your features and concepts for your pool, our professionals will develop a design that is the essence of your ideas. Your design can then be reviewed and modified, if you wish. We will make sure we highlight various options for your consideration as well, such as innovative features that provide a safe, healthy pool environment. Once you have approved your pool design and options, we’ll set things in motion that will have you enjoying your pool in the not-too-distant future. 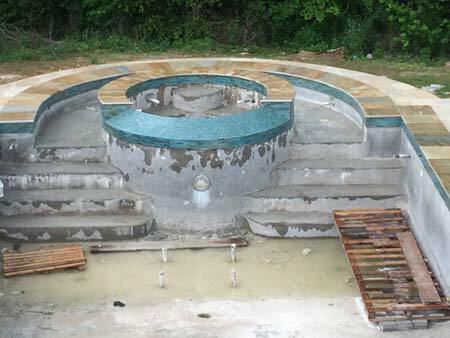 Tallman Pools is proud of our reputation for building quality custom pools. Every one is an original. Each is different, just as every individual is unique. Call us to arrange a time we can visit with you to discuss your custom pool ideas. We’re ready to cater to your dreams. Tallman Pools is a warranty station for Pentair, Polaris and more. Contact us for all your repair needs. Every pool owner wants his or her pool to look clean and clear. Water is important for three reasons: appearance, disease prevention, and swimmer safety. Besides providing a healthy environment for swimmers, regular maintenance serves to insure the life of your pool and it’s equipment. Proper chemical treatment and water balancing prevents algae growth, plaster etching, molting, and discoloration all of which are detrimental to your plaster. With this in mind, Tallman Pools offers a weekly pool cleaning service in which we vacuum and brush your pool, backwash your pool filter, chemically balance the water and check pool equipment to insure all is in proper working order. And more, contact us for more information. “Wow! Whoever knew building a pool could be so easy and fun! Tallman truly has their customer’s vested interest in mind. Their pride and experience are reflected in their quality of work. They are Soooo comfortable to work with. It was amazing to see how EVERYTHING went just like clockwork down to each and every step of building this magnificent pool. This is attributed to the many years of experience Tallman has in building pools. NO ONE can top this group of professional pool builders! 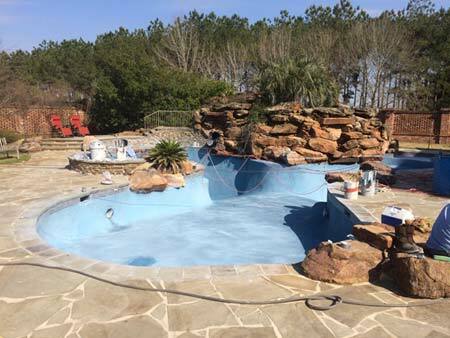 “I tried to do my own pool cleaning but decided to hire Tallman Pools to do it for me. They are dependable and do a great job. My pool always looks great and is ready for us to swim. And I know they are coming every week to take care of it. If something is wrong with my equipment, they let me know about it, give me a price to fix it, and if I decide to fix it, they take care of it.